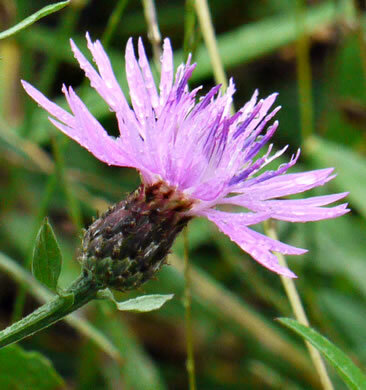 Your search found 3 image(s) of involucral bracts of Centaurea. 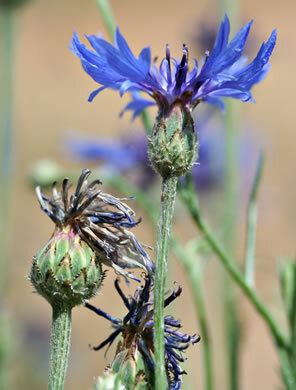 The involucral bracts have a narrow, dark, fringed margin, per Wildflowers of the Southern Mountains. 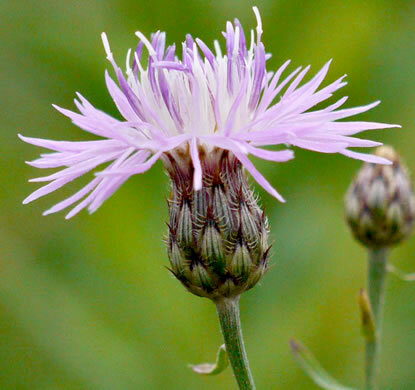 Outer involucral bracts w pectinate (comb-like), scarious, blackish apices, per Vascular Flora of the Carolinas. Heads relatively narrow, the involucres black and green, per Weakley's Flora.